Children may sometimes complain about pain that they are experiencing in either their mouths or lips, particularly on the bottom lip. This pain may interfere with the child’s ability to eat or drink, and may have numerous causes. Mouth sores consist of small bumps or blisters which are present on the tongue or upper and bottom lips. They may appear white or reddish in color, and are usually the result of injuries, viruses, anxiety or medications. The child may have a single sore, or a group of them. It should also be noted that if the sores are present outside the mouth, these are called cold sores which are different from mouth sores. If you suspect that your child has mouth sores, they should be taken to Dr. Samadi where he will perform an examination. A diagnosis for this condition is made based on the appearance of the sores. Dr. Samadi will also ask about the medical history of the child, and will inform you of any tests which must be taken. 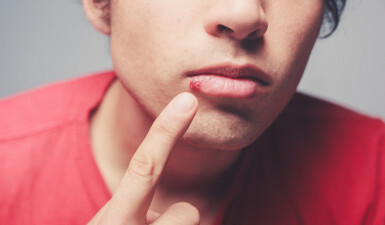 In most cases, mouth sores will clear up on their own within two weeks. Mouth sores treatment can be performed using OTC medications like ibuprofen to alleviate the fever or pain. However, ibuprofen should never be given to babies that are under the age of six months, as well as children that are vomiting or dehydrated. Cold or frozen liquids can also be used to soothe the pain, but children should avoid eating foods which are acidic and spicy. Another way to reduce the pain is through liquid antacids, which should be provided four times per day. If your child is under the age of 4, a 5 mL teaspoon should be administered after they finish eating. Children younger than the age of 4 should have 2.5 mL of liquid antacid rubbed into their mouths. Though mouth sores can be largely treated at home, there are circumstances in which parents should call a doctor. If the mouth sore doesn’t go away after two weeks, or the child experiences increasing pain, difficulty swallowing, or indications of an infection around the mouth sore, a doctor should be contacted immediately, as the condition may be serious. Other warning signs of a severe underlying condition include dehydration, unusual thirst, dizziness and a rectal fever which is higher than 100.4 degrees. In rare cases, some children have been known to have seizures from this condition, and fevers in children under the age of two which last for longer than 24 hours should be a cause for concern. Contact us with any concerns you have regarding this condition.